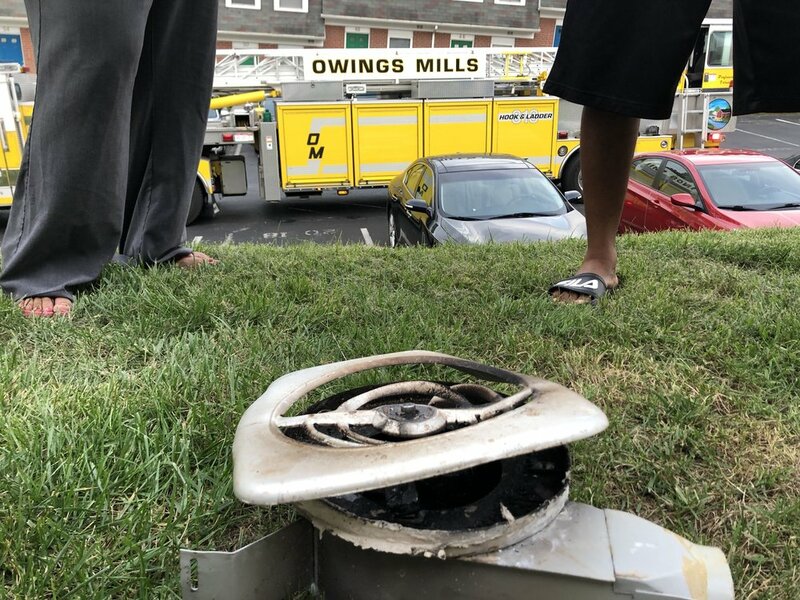 Just before 3:00 PM yesterday, Sunday the 7th, Owings Mills Volunteer Fire Company Engine 312 was alerted for the report of an outside fire on Painters Mill Rd at Lakeside Blvd. Engine 312 arrived with a mulch fire showing, and put the fire out with a quickly deployed handline. Owings Mills Volunteer Fire Company Truck 313 was alerted today, Sunday the 7th at 8:30 PM for the report of a head on collision with patient entrapment on RT 30 & Kemp Rd in Reisterstown. OMVFCo Truck 313 arrived with units from all over Baltimore County, including Reisterstown and Glyndon for patient care and scene stabilization. One patient was transported. 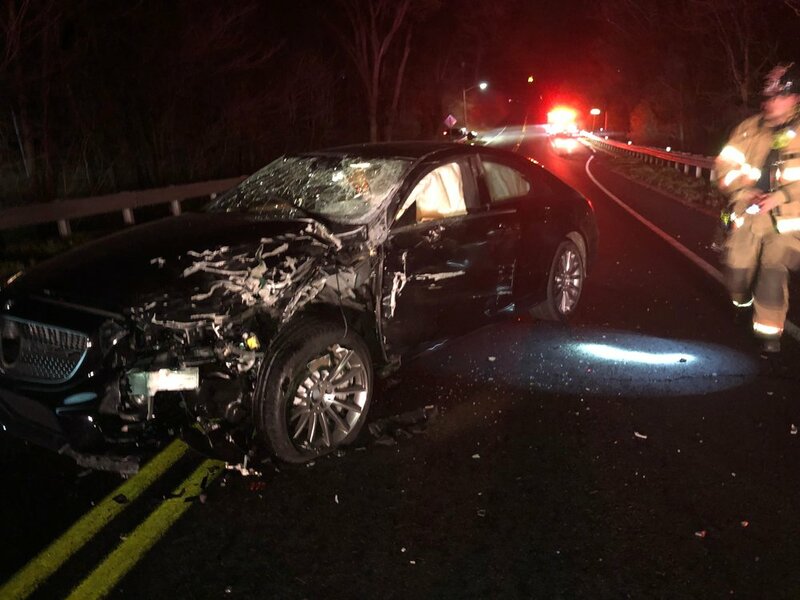 Shortly after 10:30 PM last night, Thursday April 4th 2019, Owings Mills was alerted to a motor vehicle collision with unknown injuries at the intersection of Straw Hat Rd and Reisterstown Rd. Owings Mills Engine 312 and Ambulance 315 arrived to find a red hatchback on its roof. After evaluating patients, OMVFCo was able to determine that there weren’t any injuries on scene requiring transport. Just before 2:30 PM on Friday, March 8th, 2019, Owings Mills Volunteer Fire Company Engine 312 was alerted to the report of a car crash into a building in the New Town area of Owings Mills. Engine 312 arrived to find the scene with no injuries - only property damage. County Engineer, Medic 2, EMS 5, and Battalion Chief 22 were on scene working to asses the situation. 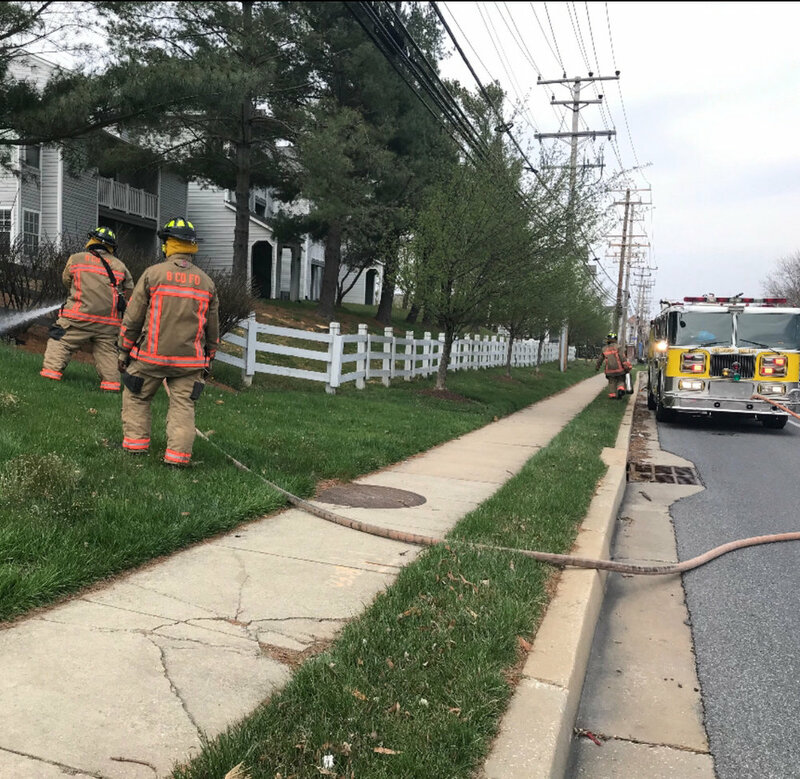 Owings Mills Volunteer Fire Company Engine 312 responded to the report of a house fire on the 9300 block of Fitzharding Ln in Owings Mills, on Wednesday, March 6, 2019. The fire started on the first floor of the middle-of-group townhome, and extended to the second floor. Crews from Baltimore County Stations: 19, 32, 56, 18, and 14 responded. OMVFCo Engine 312 crew knocked the fire on the second floor with a quickly deployed handline, while Engine 19 knocked the fire on the first floor. Photos are courtesy of Jason Broth from Pikesville Volunteer Fire Company (Station 32). Shortly before 5:30 PM yesterday, the 13th, Owings Mills Volunteer Fire Company responded to a three vehicle collision with reports of one car falling from a ledge. Owings Mills Truck 313 arrived on scene to find the three cars involved. A black sedan had driven through a fence in a parking lot off of Boulevard Circle, and fallen off of a ledge. The vehicle landed on Owings Mills Boulevard where it struck two additional cars. The broken fence was located hanging in a tree nearby. Five patients were transported to area hospitals with non-life threatening injuries. Medic 19, Medic 56, and Medic 505 assisted with patient care and transport. Owings Mills Engine 312 and Ambulance 315 responded to a motor vehicle collision today just before 12:30pm on Gwynnbrook Avenue. Two vehicles were involved. One vehicle, a pickup truck, was found off of the roadway and had struck a BGE pole. Engine 56 and Medic 56 from the Baltimore County Franklin station responded along with Owings Mills. Two patients were transported, with one to trauma. Earlier today, Owings Mills Volunteer Fire Company responded to a two vehicle collision on I-795 in Owings Mills. Engine 312 and Ambulance 315 arrived on scene, along with Medic 19 from Garrison station, and 56 from Franklin station. 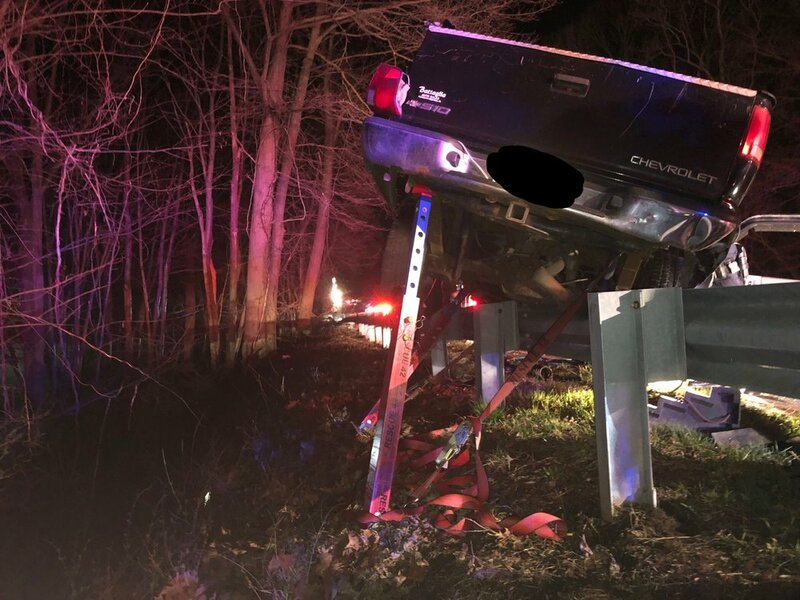 Units on scene discovered two cars involved; a sedan on it’s side on a grassy area off of 795, as well as a coupe damaged on the highway. Two patients were transported to area hospitals. 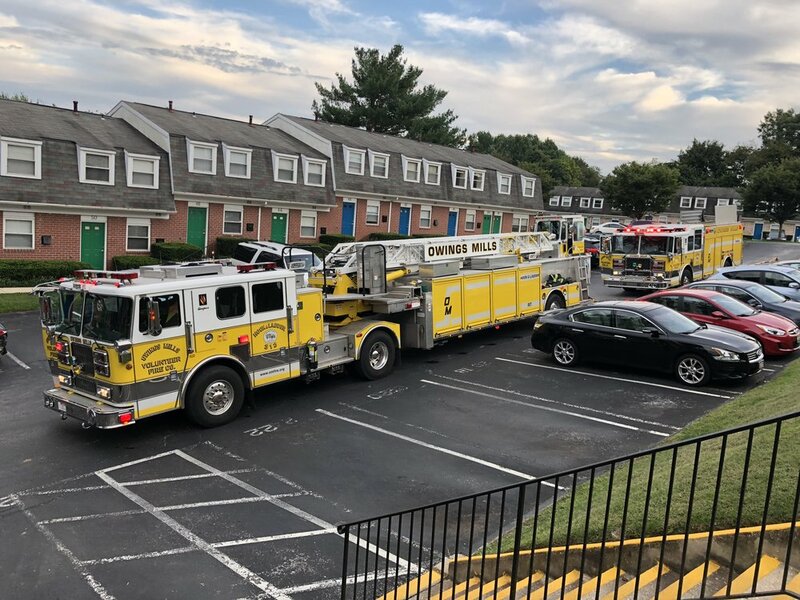 Owings Mills Volunteer Fire Company responded to the report of a second floor bathroom fire on Lower Gate Ct in Owings Mills shortly before 6:00 PM tonight. Truck 313 and Engine 312 arrived and entered the townhouse, which was filled with smoke. Engine 19 from Garrison joined us on scene. 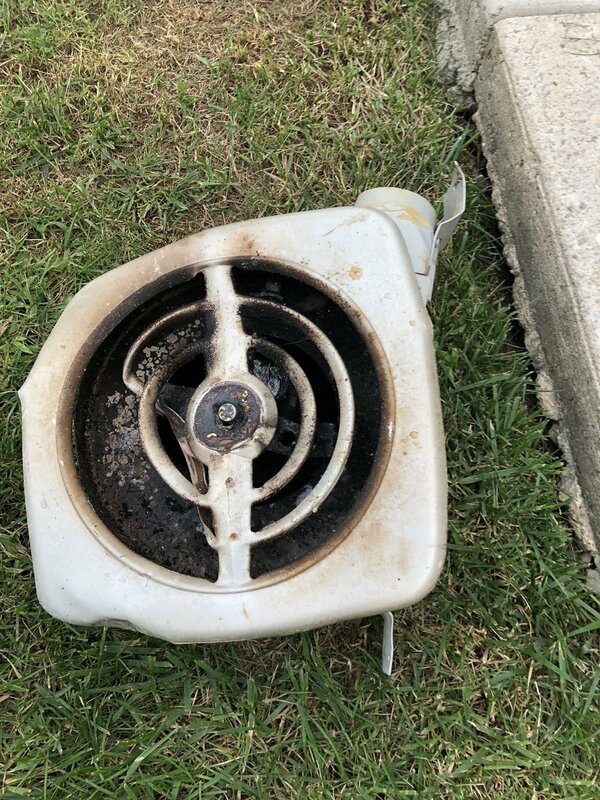 Our members quickly located the source of the fire, which was a bathroom ventilation fan. The vent fan was extinguished and removed from the ceiling. Units checked for fire extension in the attic, and came back negative. The area was ventilated via portable fans to remove any remaining smoke.